6,000 plus SQ FOOT, 4 bed 5.5 baths. 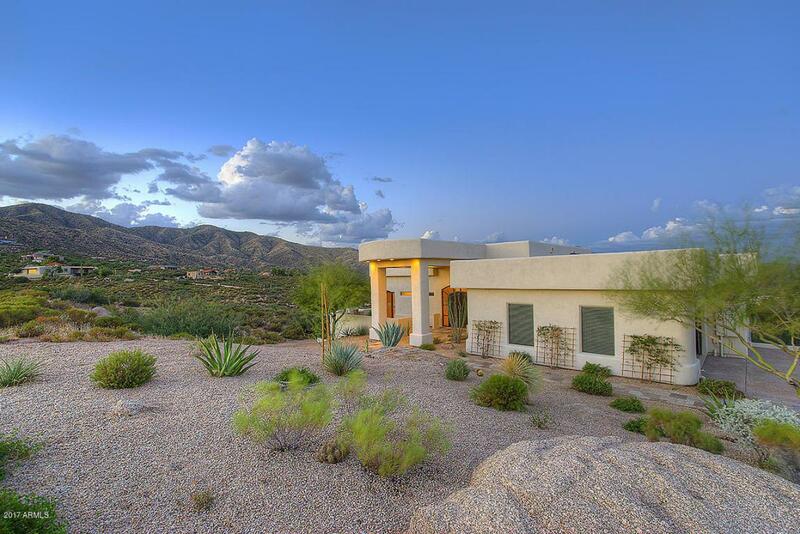 Southwest Contemporary home ON 1.7 ACRES AT AN ELEVATION OF 3,000 FEET! 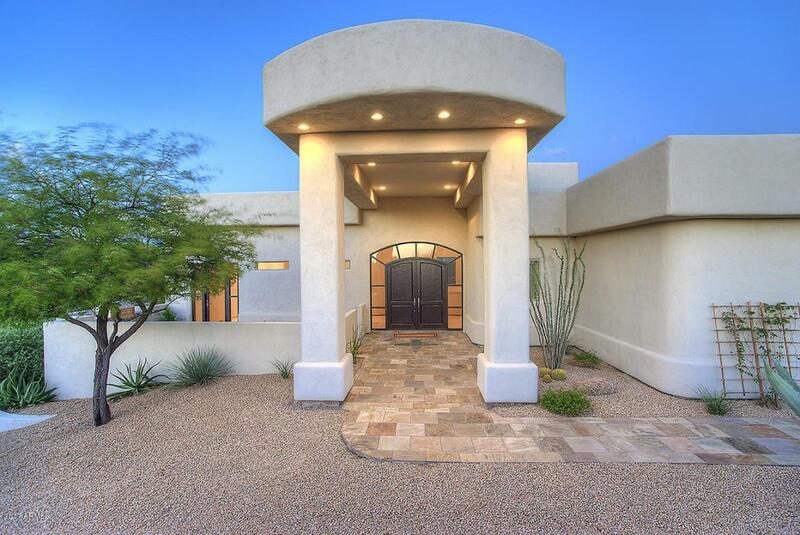 Dramatic entrance, 15' ceilings and huge windows showcasing the breathtaking views. 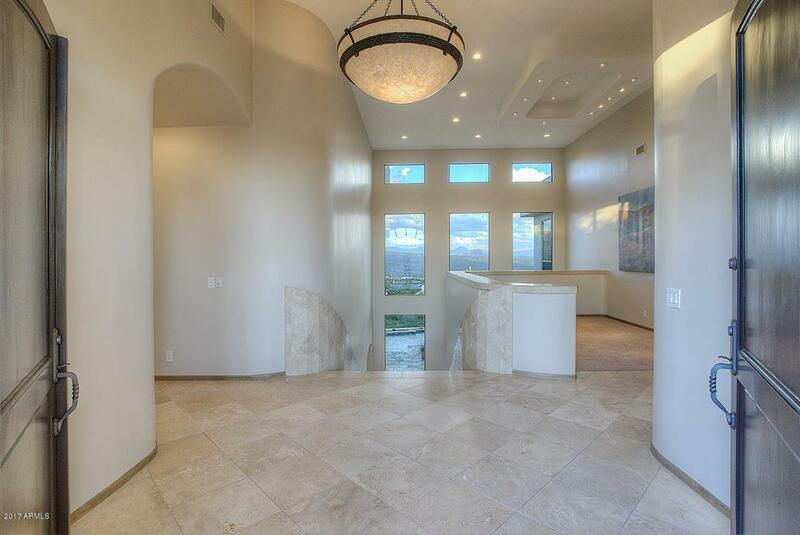 Travertine tile floors throughout. Large Kitchen has Alder wood cabinets, granite with large center island. Spacious master bath with double sinks and granite, large sep shower and tub area, huge rec room, private bar, storage room, and a Media/office w/hardwood tile look floor. Front courtyard w BBQ. 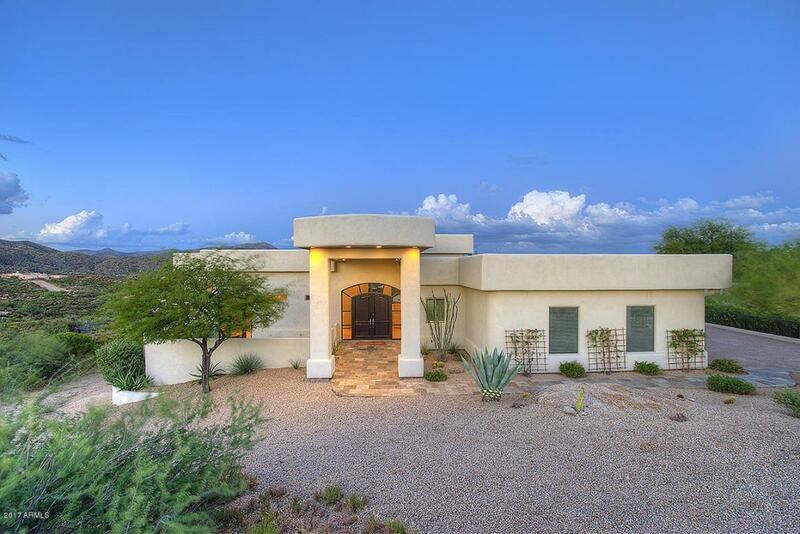 Resort style yard and pool area, Slate tile surrounding patio, Propane heated pool, 3 car garage epoxy and cabinets, Just east of Desert Mountain with their views but not their HOA! THIS HOME HAS IT ALL: Multiple view decks for priceless views!